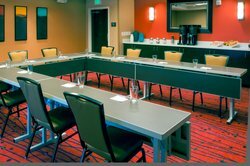 Host your special event in a meeting room in Denver that’s close to local attractions and all the restaurant options in CitySet for a fine dining experience after your event. Our small, private venue is ideal for corporate events or private functions in an elegant and convenient environment. Our Denver meeting space can host up to 33 people in 728 square feet of event space. With only one meeting room on site, your event will be our #1 priority. 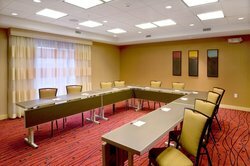 We’ll be there for you, and so will all the equipment you need, including high-speed Internet in the lobby and event space, and A/V equipment for seamless presentations. We also offer a copy and fax services, as well as overnight delivery and pickup. Guests without rooms at the hotel can get some work done before or after the event at the individual tables and booths in our lobby.